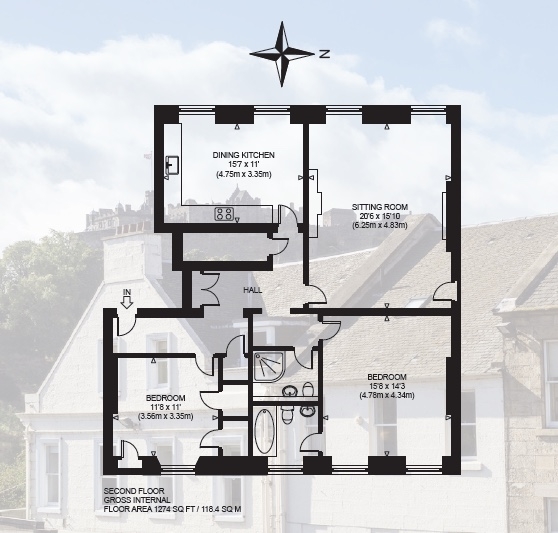 An amazingly central location with easy access to all areas.... seconds away from Princes Street, a 5 minute walk to the main train station, a 2 minute walk to the airport tram, a short walk from Edinburgh Castle... Location, location, location! This spacious and elegant flat is on the second floor of a historic building in Edinburgh's New Town with extremely high ceilings. 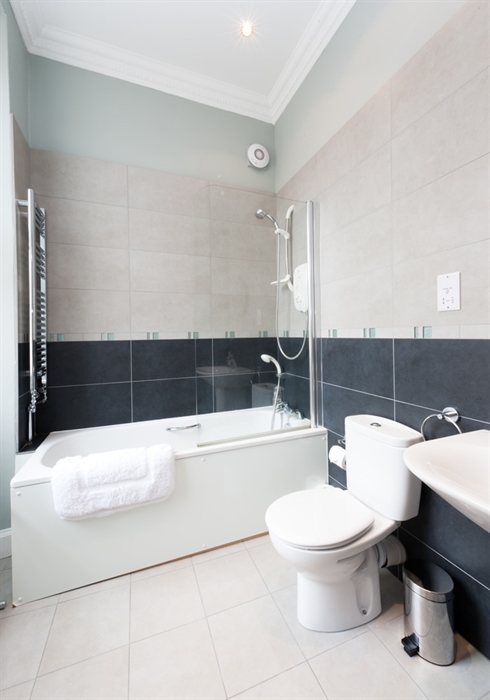 Comprising a large lounge and separate fully equipped kitchen/diner overlooking Hanover Street with great views of the Castle, a very well proportioned master bedroom with king size bed and ensuite bathroom, a further bedroom with two single beds and a further bathroom with walk in shower. High quality linens and towels are all provided.